How would you describe your mornings as a mom? Yeah, yeah, I hear you, mama. So, when I started to attempt to create a morning ritual for myself, I had this expectation. But it ended up more like this. Which is why I LOVE this guest post from award-winning author Ashley Brown. She interviewed more than 20 women to explore how they start their days and the positive impacts their rituals have on their lives for her book, A Beautiful Morning: How a Morning Ritual Can Feed Your Soul and Transform Your Life. And today we’re getting their best tips on how moms can work self-care and that good-vibes-morning-ritual feeling into their days — whether or not it’s in the a.m.
As your children get older, you can train them to respect your ritual. Owner of Healthy Conscious Mama Naomi Gottlieb-Miller has worked with her 2-year-old and 5-year-old to get them to understand that “this is Mommy’s time.” She says that it took a while to establish her routine of yoga and meditation. “When my daughter was really little … I was still figuring out motherhood. I would nurse her at 5 a.m., go back to sleep, then slog through the morning. It would get to be 10 a.m. and I hadn’t accomplished anything, and that didn’t feel good. Then things started to shift and I began to create a routine. By the time I had my son, I had my routine down and my daughter was part of it. I would do yoga and tell her, this is what Mom does. You can play by me. Now my son does it, too. Recently I posted a video of them playing Legos near me while I worked out.” It’s helpful to prepare the night before by setting out breakfast and a toy or book to help keep them occupied. 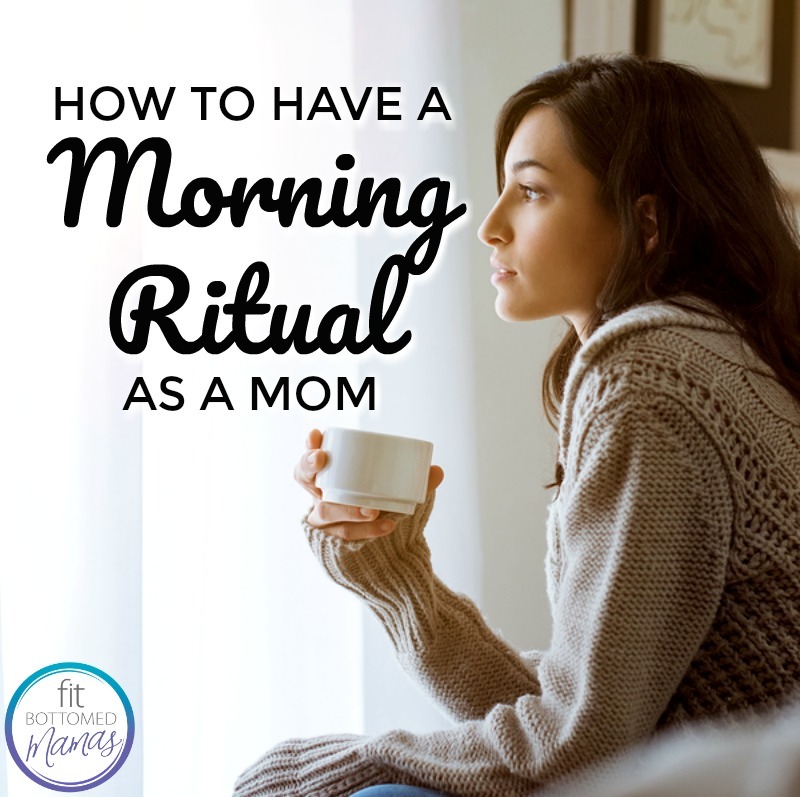 I have read countless posts across mommy blogs about creating a morning routine or carving out a special time each evening for “me time”, meditation, centering, etc. They all sound so nice. I’d love to partake. But not a SINGLE one has any mention or advice for us moms who don’t have a regular schedule. Who work night shifts 2-3 random days every week. Who don’t have the luxury of getting up (or even sleeping) at the same times every day. Instead of a certain time of day, could you schedule time for a self-care ritual for every time you go to bed? Or wake up? No matter what time of day it is?